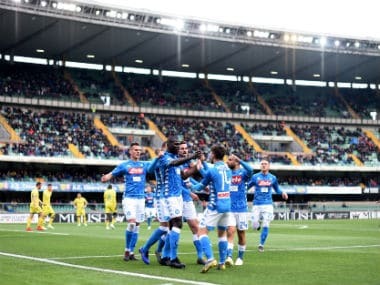 Turin: Senegalese defender Kalidou Koulibaly's stunning last-gasp goal kept Napoli's title hopes alive with a 1-0 win at Juventus on Sunday closing the gap to just one point on the Serie A champions. Koulibaly headed in the winner off a Jose Callejon corner in the final minute to give Napoli their first ever victory at the Allianz Stadium. 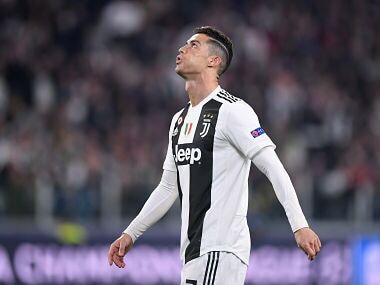 Six-time defending champions Juventus's lead at the top of the table has been cut to just one point with four games left. It was just their third league defeat this season and a first since 19 November. "The city fired us up over the last few days and when we see all those fans accompanying us to the airport, it makes us very happy. We want to thank them and the best way of doing that was to win the game." Maurizio Sarri's side pushed forward and had numerous chances, while Juventus, apart from a Miralem Pjanic free-kick hitting the post, created little. Napoli captain Marek Hamsik threatened twice to break the deadlock while Lorenzo Insigne had a goal disallowed for offside in the first half, before substitute Piotr Zielinski's late snapshot was cleared by Gianluigi Buffon. 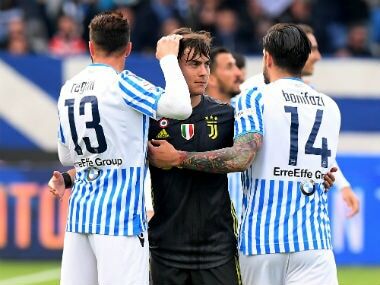 "It was not the perfect match but it was a great match: we did not concede anything to Juventus and the victory was a logical consequence of this attitude," said Sarri. "What is certain is that winning here is always very difficult and wonderful, it's a huge satisfaction, but we must also remain lucid because at the moment it remains an end to itself. "Juventus are still ahead, we just have to think about the next game." The champions now have a difficult run-in to the season, including trips to Inter Milan and Roma – both fighting for Champions League places. 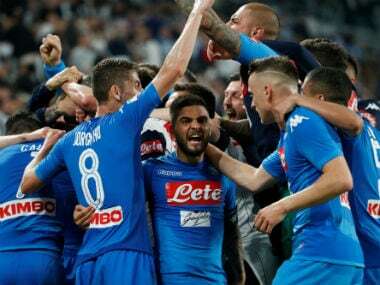 Napoli will play Fiorentina, Sampdoria, Torino and Crotone in their final four matches. 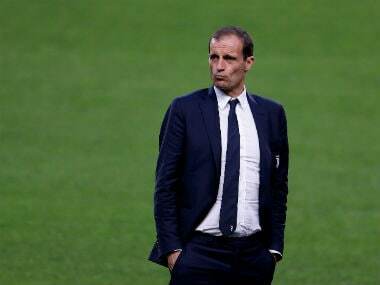 "It was a terrible game from both teams with zero shots on goal," said Juventus coach Massimiliano Allegri. "We had some difficulties, but we could have closed it with a draw, unfortunately on the corner we did not mark and they got the goal. "Napoli did what they had to, they held the ball, and they deserve credit for their victory. "It was a head-to-head that was decided by a single incident. We weren't as sharp as usual. "We're still top of the table, we still have the advantage. There are four games to go, two at home and two away, so we'll see what happens." Elsewhere, Lazio and Inter kept their push for Champions League football alive on Sunday. Ciro Immobile scored a brace as Lazio crushed Sampdoria 4-0 to stay fourth, just behind Roma who warmed up for next week's Champions League semi-final against Liverpool with a 3-0 win at SPAL on Saturday. Sergej Milinkovic-Savic put Lazio ahead in the first half with Stefan de Vrij increasing their lead before Serie A's leading scorer Immobile netted twice late on to move to 29 goals for the season. Inter are a point further back in fifth, just outside the Champions League places, after a hard-fought 2-1 win over Chievo. Top scorer Mauro Icardi put Inter ahead early in the second half with his 26th Serie A goal this season before Ivan Perisic added a second. The battle for Europe could go down to the wire with Lazio hosting Inter in their final game of the season. Atalanta moved into the Europa League places in sixth with a 2-1 win over Torino, climbing above AC Milan, who lost 1-0 at home to bottom club Benevento on Saturday. Benevento's relegation from Serie A was confirmed on Sunday after just one year in Italy's top flight.